My faith in wine has been restored. For weeks now, since the start of the tasting ‘season’ in September I have attended tasting after tasting, approaching them with dread and leaving them with boredom. Why do so many wines have to be so safe, so bland, so boring and so technically ‘perfect’ that they hardly warrant a single-word tasting note? There are some that could have their note written in advance and would need no more than a five per cent adjustment after tasting. I wrote of one recently: “Featureless wine, no character.” Is this what wine has come to? Thankfully, no. Recently I attended a wonderful tasting of just 11 wines hosted by the admirable Pascal Rossignol of Le Caveau in Kilkenny. A Burgundian native, M Rossignol believes in real wine, proper wine and this 11 were all ‘natural’ wines. Thus I went along with more than my usual dose of dread, expecting a slew of funky, feral wines presented by a messianic enthusiast in a knobbly brown jumper and open-toed sandals. Wrong on all counts. There wasn’t a knobble nor a toe in sight. 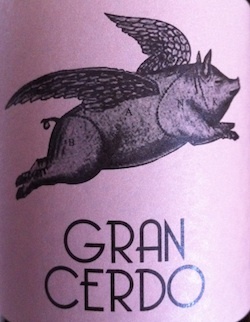 Funky was confined to the labels and feral made a restrained, and welcome, appearance in only some of the wines. Each had character and individuality. What joy! What can you expect from these wines? For starters, they have features, hard edges and corners that you can react to, write about and revel in. You can push against them and they will push back. They will not be everybody’s cup of tea, they will divide opinion, and that is their great attraction. 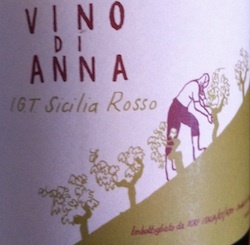 By ‘natural’ the producers mean that the wines have been made with as little manipulation as possible. 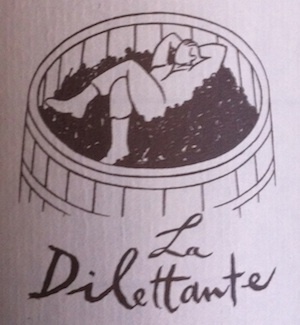 In this context ‘natural’ is not the best of terms to use as, in common parlance, it usually stands for the opposite of man-made and it would be farcical to suggest that natural wines just make themselves, with the grapes obligingly falling off the vines into the fermentation vats. I will be writing at greater length on natural wines in a future issue of Food & Wine Magazine. In the meantime I suggest that you check out Pascal Rossignol’s website (www.lecaveau.ie) or, better still, set aside a Saturday coming up to Christmas and go visit.